Councilman Catena was appointed Councilman of County Council District 4 on January 17, 2017. Patrick’s family generations are strong in the Carnegie area. He is the grandson of Richard and Suzanne Cavanagh and Dr. William P. Catena and Elizabeth Catena. He is also the nephew of Drs. William P. Catena and Michael R. Catena both long time physicians in the Carnegie area. His Dad, the late Patrick Catena Sr. was a long time member of the Carnegie Volunteer Fire and Rescue Bureau, drawing upon his Father’s knowledge has helped to solve the long time issues between the bureau and council. His Mom, Ann is a former Assistant Principal at Sts. Simon and Jude, serves on the Carnegie Democratic Committee and has been extremely active in the Community for many years. He is a family man, believing in strong family values raising his son, Jack who is 11. His dedication to family can be found on the baseball field attending and assisting baseball games for the Miracle Baseball League or helping the local children in Carnegie with family events. His dedication to funding of children’s events and creating a line item for budgets to assist with these funds has enabled a successful three phase parks project. Pat has also lobbied for successful funding and development. His work with Mary Pitcher and creating the Pitcher Skateboard Park and Haunted Trails are just two more examples of his community engagement. Carnegie Council President Patrick Catena was re-elected Council President after being nominated by newly elected Councilman Phil Boyd and sworn in by Judge Gary Zyra in 2014. President Catena previously served on council since June 2009, when he was appointed to fill the unexpired term of Councilman Robert Kollar, who was moving out of the borough. 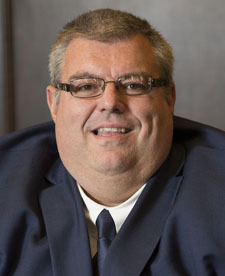 Patrick was elected in his own right in November 2009 and became Vice President of Council. During the past six years he served consecutively as Vice President and then President. Patrick is a third generation lifelong resident of Carnegie. He is a graduate of Sts. Simon and Jude in Scott Township, Bishop Canevin High School, 1991 and graduated with a Bachelor of Arts in political science and communications from the University of Pittsburgh in 1995. Over the years, President Catena understands his purpose to unite the Council and the Community. During his time, he was instrumental in having meetings televised and added to the Carnegie Borough website via YouTube and was hands on in the implementation of the new award winning Carnegie Borough website in 2016. Complimenting his academic and work experience are results. His professionalism, creative vision, persistence and self-motivation show in his strong leadership skills. He has worked with Apria Healthcare since 2003 growing from a Collections Supervisor to a Financial Analyst. Prior to that, he worked for the May Corporation for seven years as a Collections and Credit Supervisor. In his professional advancement, he has created a foundation in analytics and Revenue Cycle Management to improve operations and all facets of the business from sales, regulatory compliance and finance to meeting or exceeding operating results and income. His business experience is an asset to the community of Carnegie and across Allegheny County in District 4.